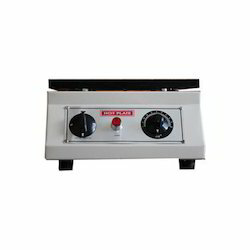 We are manufacturer and exporter of wide range of Hot plates used for heating in various Industries, Research Institutes and Laboratory. Our Hot plates and designed and fabricated to suit various standards like ISO, ASTM, and IS. Heating Top plate is made of Cast Iron and body made of MS sheet with powder coated paint. Our company has been acknowledged for providing SMD LED Mounting Hot Plate to the clients. 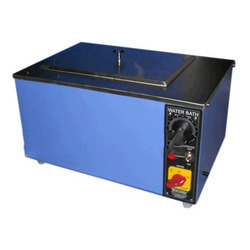 Water Bath is used for any type of wet processing like desining, scouring, bleaching, optical whitening, dyeing, etc., it is required to maintain standard temperature with regards to duration of the process. This Water Bath is made of double walled structure having thick glass wool insulation to avoide power loss. We are offering a Electronic Hot Plate to our clients.